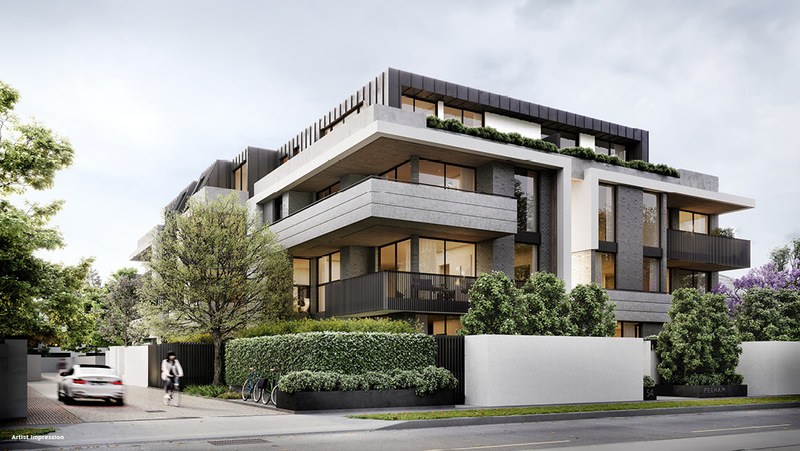 Pelham offers a selection of just 20 two and three-bedroom residences in a prestigious and tightly-held location to Melbourne’s south-east — Armadale. 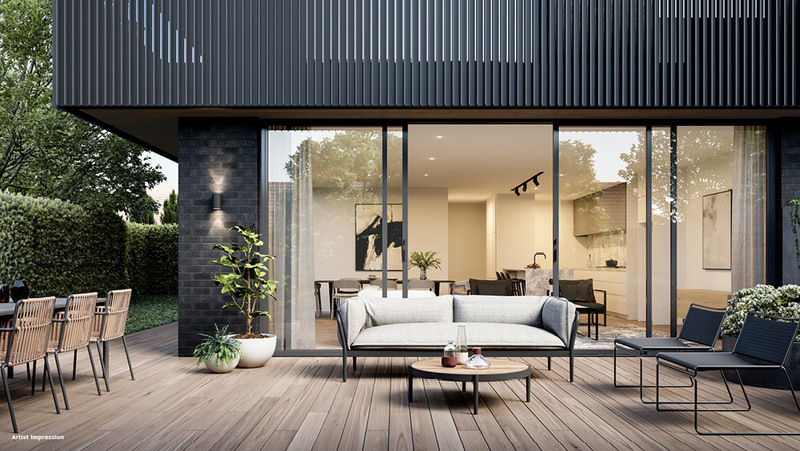 Pelham offers a selection of just 20 two and three-bedroom residences in a prestigious and tightly-held location to Melbourne’s south-east. An experienced combination of teams from Roulston, Buxton Group, Ewert Leaf and Jack Merlo is working in collaboration to bring this innovative masterpiece to the market. Inspired by Frank Lloyd Wright, Pelham’s facade resembles floating plains. Centred on a linear design, the recessed lines in concrete elements and charcoal and timber structure create a visually stunning building. 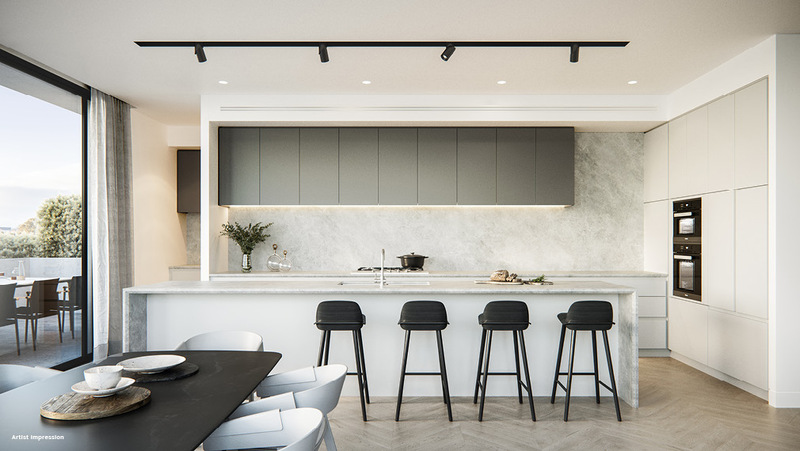 Featuring George Fethers chevron flooring and Signorino marble throughout the kitchens and bathrooms, Pelham residences exemplify timeless elegance. 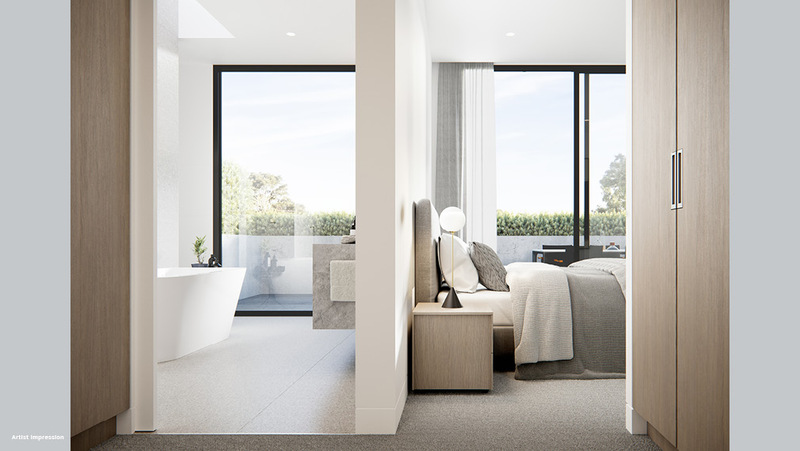 The open plan living areas flow onto expansive terraces with views of heritage landmarks in Armadale. Each residence is fitted with an abundance of concealed storage solutions, to enhance the spacious floorplan. For example, the butler’s pantries in the three bedroom homes will transform the kitchen, allowing for more space for food preparation. Bathrooms demonstrate the forward-thinking design strategy of Ewert Leaf. With brushed nickel tapware and bevelled-edged detailing on recessed vanities, these private retreats will become the highlight of the home. Only 7km south-east of Melbourne’s CBD, Armadale is a premium suburb nestled between Toorak and Malvern. Established in the late 1880s, Armadale has always been a prestigious suburb. Many of the original Victorian homesteads still exist as heritage-listed buildings in a mix of mid-century apartments and terraced-style houses. Armadale’s main boulevards, High Street and Glenferrie Road are hubs of activity. Less than a five-minute walk from Pelham, High Street is a retail wonderland full of trendy cafes and food stores. Locals are proud of this shopping and dining precinct, while visitors immerse themselves in the village charm. A quieter and refined version of High Street, Glenferrie Road is within walking distance of Pelham's entrance. Here, residents can find boutique outlets and fine dining restaurants with open-air seating. In fact, residents won’t waste any time travelling — the area surrounding Pelham is filled with modern services and parklands. Within 10-minutes walking distance, the Union Street Gardens is an ideal place to explore, play a game of tennis on the courts, or grab a refreshment from the Cubbyhouse Canteen — a renowned family-friendly cafe. Convenient and connected, if Pelham residents did need to travel, the tram stop just outside the door takes passengers to the CBD. Alternatively, the Armadale Train Station is only 650m away. At Pelham, all the essentials are within walking distance of the front door. These homes represent a unique opportunity to acquire property in a suburb that rarely sees generously sized apartments on the market. 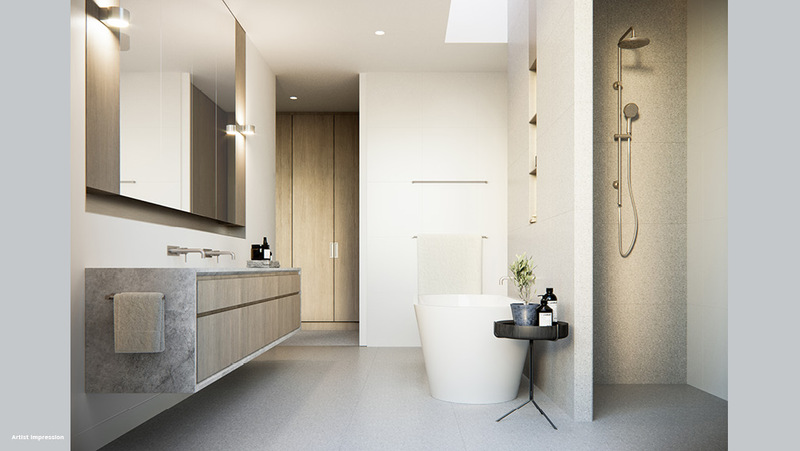 Enquire here to find out more about Pelham residences in Armadale.